What did you get for #9? I got a snake. Ever had a long computation that felt like this? Next Post Why can’t you divide by zero? YES! 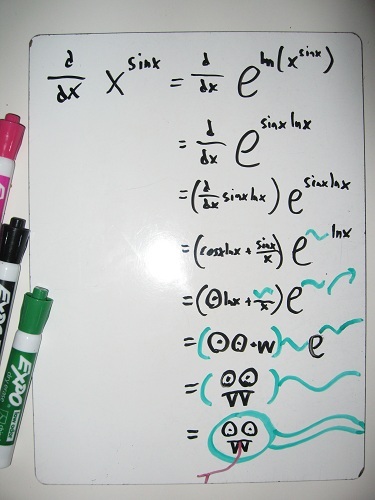 Proofs in my Real Analysis Class… multiple pages of reptilian monsters! Mmm… deltas and epsilons are especially slithery and serpentine.